Why Are Fossil Fuels Used So Much Today? The use of fossil fuels started becoming very popular during the Industrial Revolution when many industries experienced a boost in evolution.The development of several technologies made fossil fuels become an accessible source of energy. The name fossil fuels come from the fact that they are literally made from fossils of plants and animals. If you do not know why are fossil fuels used so much today, you will soon find out. When people burn fossil fuels nowadays, they actually release the solar energy that the process of photosynthesis used millions of years ago. Hence, when those plants and animals were alive, the fats, proteins, and carbohydrates stored this energy in their organisms. These carbon-based molecules transform in hydrocarbons as they find themselves under intense pressure and heat. Therefore, oil and gas covered the plants and animals which remained buried deep at sea. Furthermore, those that were buried in swamps, transformed into coal. The main difference between gas, coal, and oil relies on the length of molecules which compose them. Gases have the shortest chain of hydrocarbons. Petroleum contains the medium-length chains of hydrocarbons while oils feature the longest ones. On the other hand, specialists point out that coal is not made up of chains, but of rings of carbon, having a lighter coating of hydrogen. Hence, fossil fuels store the energy in their chemical bonds. These bonds hold together the molecules of hydrocarbon. The energy remains trapped until hydrocarbons meet oxygen and heat. By heating these fossil fuels, the oxygen and hydrocarbon molecules will break apart. Then, the oxygen atoms will react with the freed hydrogen and carbon atoms, offering water and carbon dioxide. Furthermore, they also produce a lot of energy along the way. The extra heat represents the key to fossil fuel’s success. These molecules release even more energy than it took to disrupt the original bonds when the new bonds form H2O and CO2. Therefore, when the process of combustion starts, the runaway chain reaction starts, providing excess heat. The gases emitted while burning fossil fuels have propelled pistons in engines for over a century. Fossil fuels became a very popular source of energy, despite all its downside regarding the environment. Do you know why are fossil fuels used so much today? Because they provide great energy and are valuable. This incredibly useful source of energy has two major downsides. The first one is that it is a finite supply and the second one refers to the fact that fossil fuels are not environmentally friendly. Even if we can start a fire with a simple spark and we can stop it by cutting down the fuel supply, the burning process of fossil fuels harms the environment. They emit massive quantities of carbon dioxide into the atmosphere that adds up to other greenhouse gases that accumulate into the air. Hence, air pollution occurs, and big clouds of smog cover the skies of big cities like Delhi or Beijing. 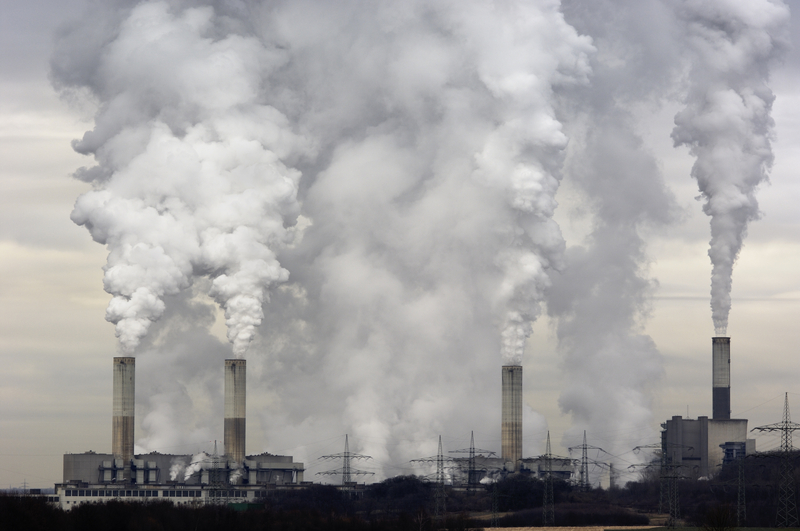 Pollution is one of the factors that fuel the effects of climate change. Air pollution the accumulation of CO2 into the atmosphere traps the heat coming from the sun. Therefore, worldwide temperatures increase, disrupting many cycles in nature and damaging various ecosystems. Besides the fact that these high temperatures transformed in hell-like heatwaves, they also trigger wildfires, affecting hundreds of acres of woodland. Many animals die, or their habitats are disrupted during these wildfires. The high temperatures also affect animals living in the Arctic since their homes started to melt slowly. Massive sheets of thick ice layers are melting, increasing the sea water levels. Thousands of species living in the cold water suffer due to the meltdown. Ice layers melt because warmer ocean water reaches the surface and comes in contact with the ice. The rising temperatures also affect the marine creatures living in the Coral Sea where we find the Great Barrier Reef. The warm waters of the sea triggered coral bleaching, determining a lot of marine animals to migrate. The corals represent the house of several species of marine creatures. Furthermore, many of them use the corals as a place to feed and hunt for their pray. Climate change and carbon dioxide air pollution also affect other species out there that can no longer adapt to the new weather conditions and the new climate. Global warming disrupts their habitats, and some of them are unable to adapt. Hence, they die off, completely disappearing as a species. We keep using fossil fuels, without trying to implement more renewable energy sources. The resources of fossil fuels will end at some point, and we will need to find other ways to provide energy. Environmentalists continue to highlight the importance of renewable energy which is not only infinite but is also eco-friendly. Even if there are certain countries which started using wind, solar and water energy, they only use them for certain purposes and limited periods. It is true that renewable energy is more expensive than fossil fuels, but in the end, this is what we will be left with. When fossil fuels become history, we will need to adapt. Fuel is extremely useful, very valuable and extremely important geopolitically. Nevertheless, if we want to tackle the effects of climate change, we need to learn how to leave most of it in the ground. When using fossil fuels, we clearly produce more pollution and the human-made climate change will never seize to end. Apparently, no matter how many treaties about global warming we sign, we seem to try to annihilate the problem on one hand while we fuel it on the other hand. We burn a massive amount of fossil fuels and cut down hundreds of millions of woodland acres, but then we plant some trees and hope to reach the goal of the Paris agreement. We keep fooling ourselves, thinking that we will make it. The truth is that we try to fight ourselves because global warming is a human-made problem. It depends on our efforts if we win or lose.